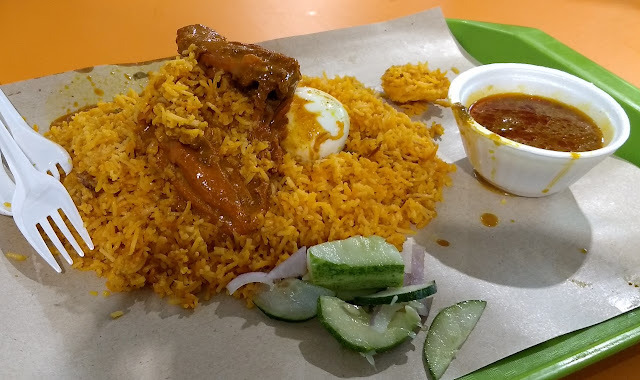 When we arrived at our hotel in Singapore and began to get our bearings, we were delighted to find out that the Little India neighborhood was within walking distance. 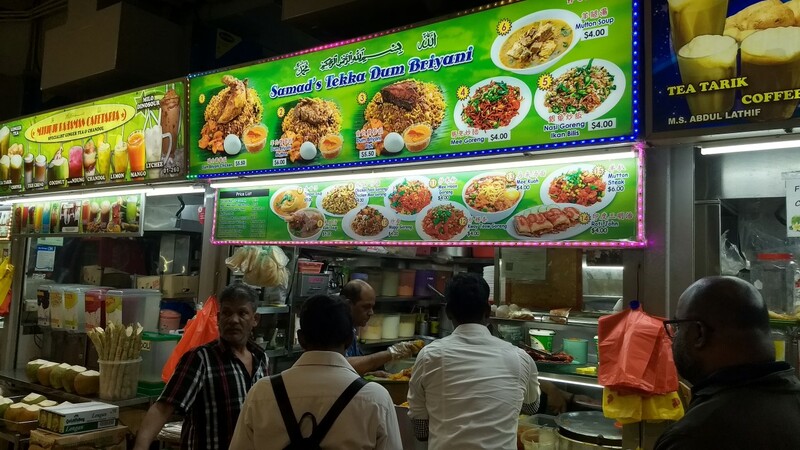 Our primary destination was the Tekka Centre, one of Singapore's many hawker food courts. While other types of food are also represented, Indian food is the primary draw here. Because it was evening, many of the stalls were closed up, but there was still a lot of activity. We ordered some dosa and idli from a vegetarian food stall and were not disappointed. 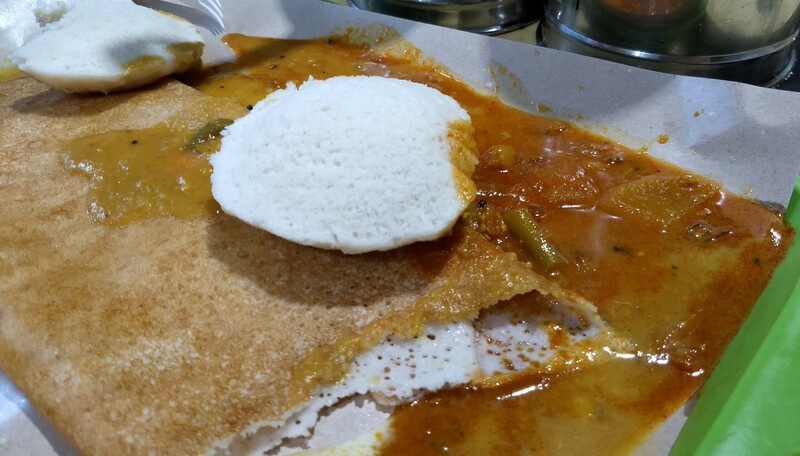 Idli and dosa are made from the same batter - a mixture of rice and lentils. 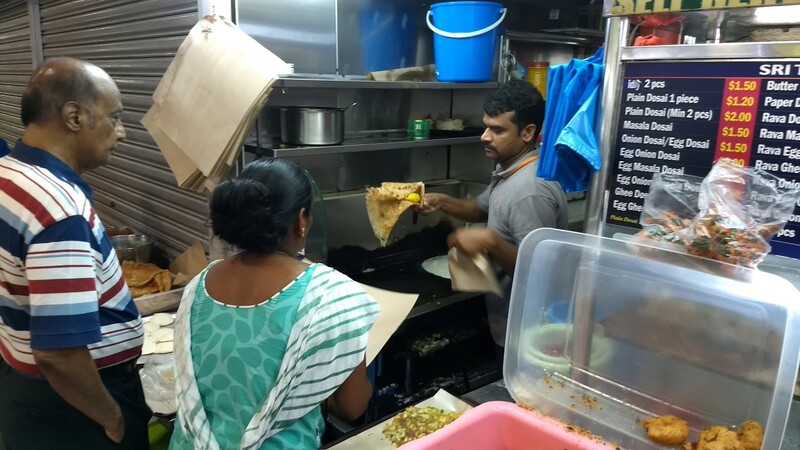 The dosa is cooked somewhat like a crepe, while idlis are steamed. 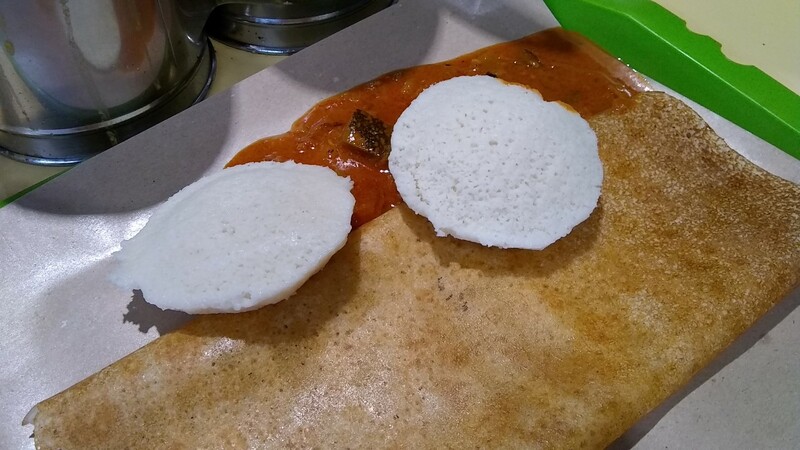 We make dosa at home, but this was our first idli experience and it was heavenly. The sauce that came with our rice and lentil treats was delicious, as were the additional sauces that were provided on the table. 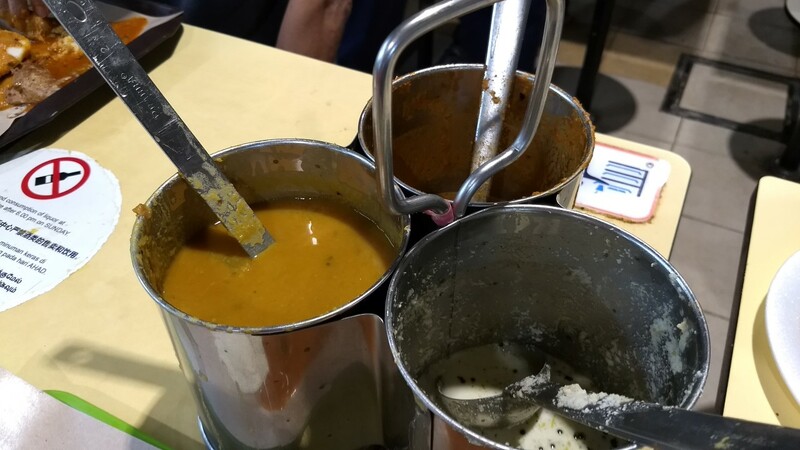 It is hard to describe just how much we enjoyed this - both the food and the atmosphere, which felt very culturally Indian. 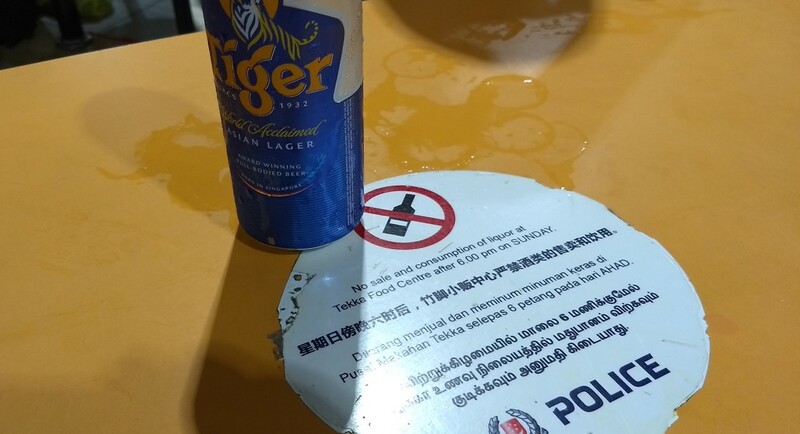 We noticed signs on the table which said that alcohol was not allowed on Sundays after 6:00pm. Fortunately, it wasn't Sunday, so we had a beer. 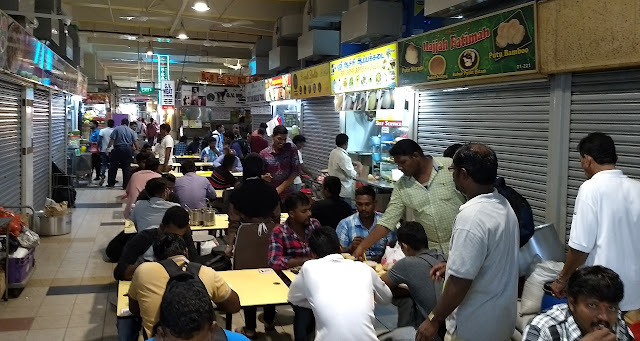 The vendor that served us told us the restriction was due to rowdy crowds of drinkers on Sundays getting violent. 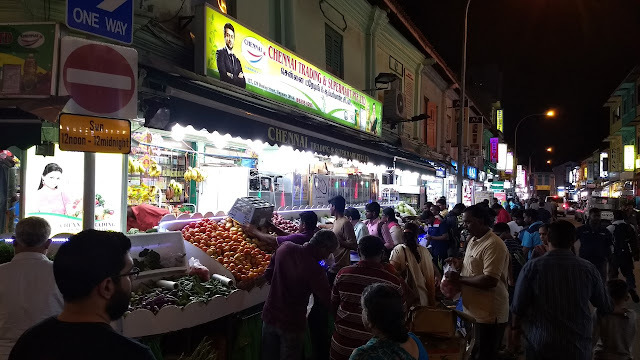 After our meal, we wandered the the busy evening streets of little India - lots of people were still out doing their shopping. 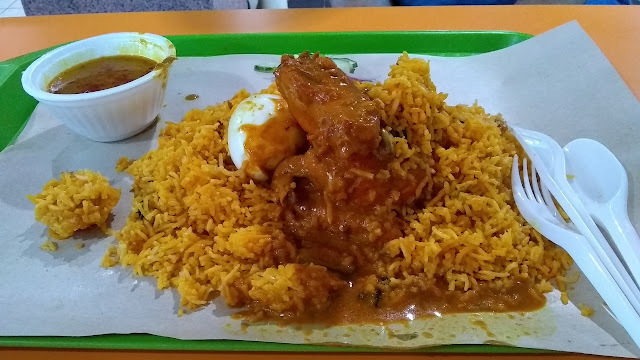 Given the heat of Singapore days, it seemed like a perfect time for it. 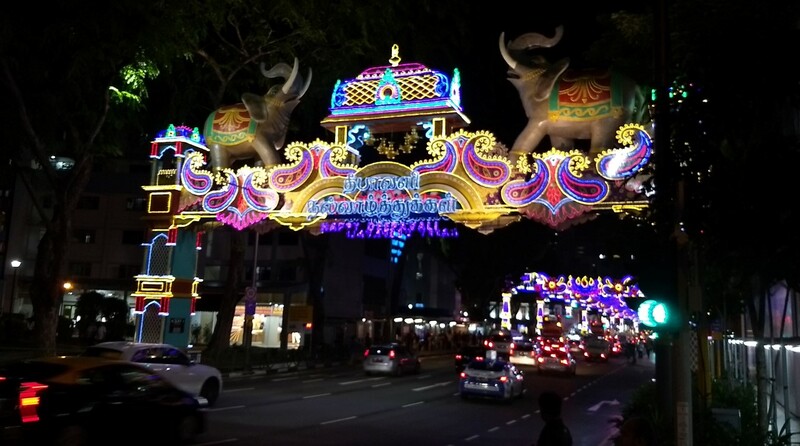 Overall, a great first evening in Singapore.